Thinking About a Bucktown or Wicker Park Apartment Rental in Chicago? 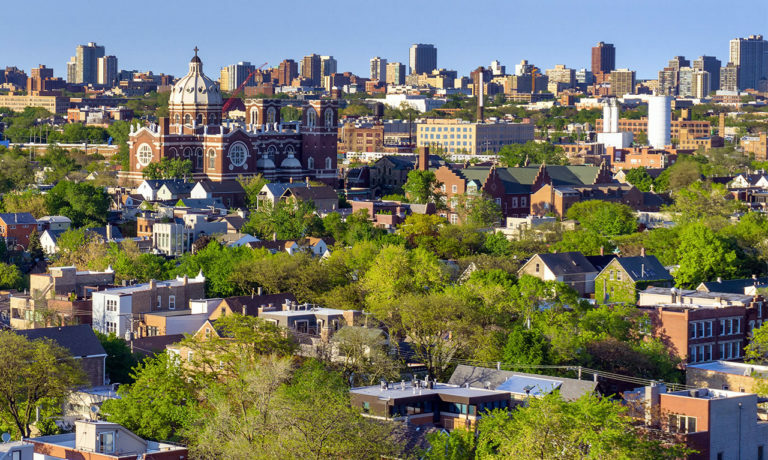 Before renting a Bucktown or Wicker Park studio apartment or 1-, 2- or 3-bedroom unit, you want to learn more about the neighborhood. We know you have questions: Where is it located? What activities are available? Is shopping convenient? Are there good restaurants and bars? How is the transportation? You’ve come to the right place for answers! The Bucktown/Wicker Park area enjoys a reputation for creativity. You’ll find art galleries, unique designer boutiques, vintage stores, unusual bookstores, and an array of independently owned shops as well as major retailers. Wondering what to do when you’ve finished shopping? Well, that’s not a problem in this hot spot! 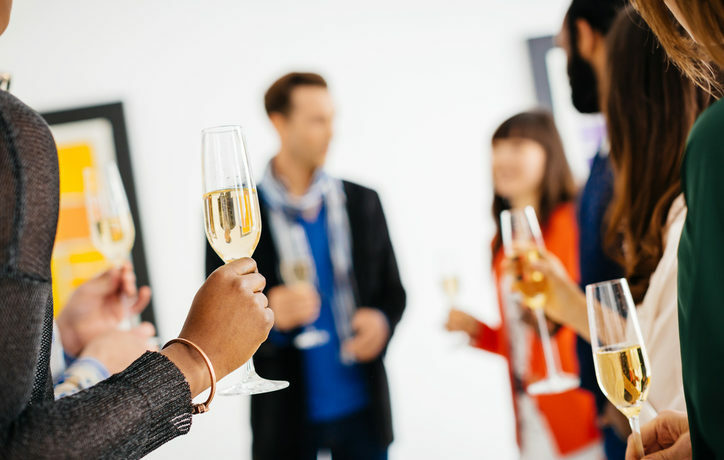 Residents enjoy an active nightlife right in their own backyard. Trendy restaurants with great food like Big Star and Piece, live music, hipster craft breweries and mixology lounges are plentiful! Be sure to check out The Map Room if you like rare and varied beers, and The Violet Hour to sip artisanal cocktails. Are you the outdoorsy, active type? The elevated 606 trail provides three miles of green space for walking, running and biking — all without having to worry about traffic. Along the route, you’ll find sculptures and other art installations, educational information, an observatory and access to ground-level parks. The 606 runs above four city neighborhoods, connecting people and communities. 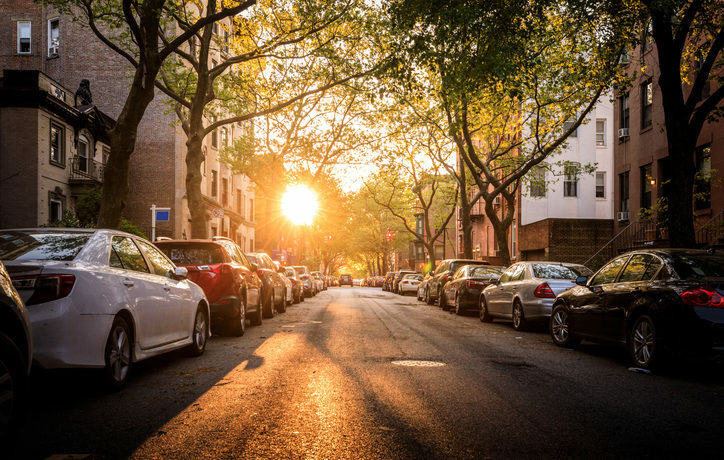 This area is home to families, young professionals and hipsters who revel in the active urban lifestyle, a great location with plenty of housing choices, and access to public transit that allows residents to get almost anywhere quickly and affordably. There’s something here for everyone — young, old and families alike — and every budget. Chicago Transit Authority (CTA) bus routes and the rapid transit “L” blue line connect the neighborhood’s destinations and provide fast, cheap transportation to and from downtown Chicago. Once downtown, you can access the other rapid transit and bus lines to get practically anywhere in the city, or take a Metra train to the ‘burbs. Taxis and ride-shares are plentiful in the neighborhood, as are bicycle lanes and parking racks. If you need a car, you can find parking lots, garages and street parking. 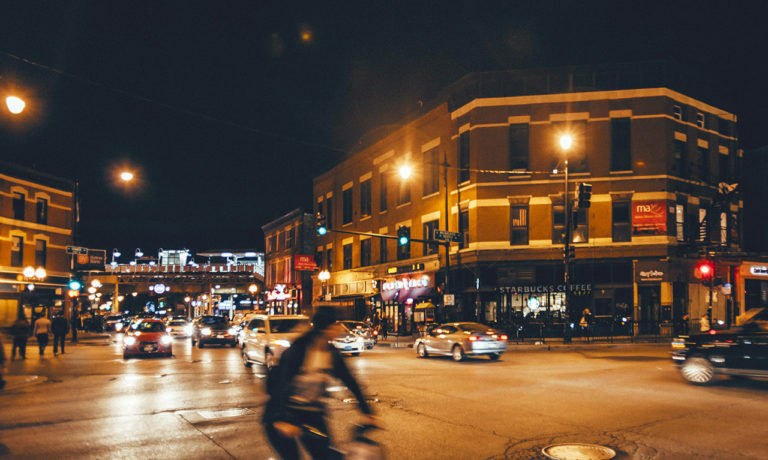 The vibrant center of Bucktown is the “six corners” intersection, where Damen, Milwaukee and North Avenues meet. Here, you’ll find many shops, packed restaurants and lounges, a dedicated sports bar and access to the CTA’s blue line. The Flat Iron Arts Building on Milwaukee houses many unique art galleries and artist studios, and is definitely worth scoping out! And don’t miss the Bucktown Arts Festival. Every summer, this premier art fest showcases the work of 200 artists, while offering music, dance and kids’ activities. 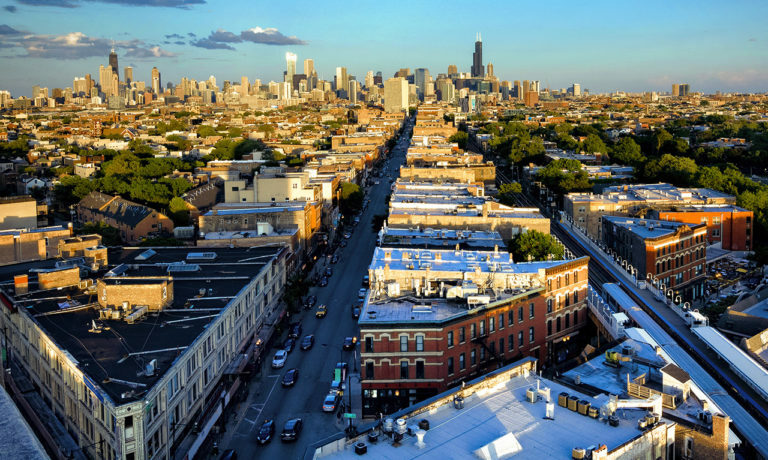 Wicker Park is filled with art galleries, upscale boutiques, resale shops, fashionable as well as chain restaurants, small independently owned stores, dive bars and trendy cocktail lounges. Entertainment includes live music, exhibits by nationally known artists, and bars with DJs. Annual summer festivals include the Do Division Street fest that spans 10 city blocks, the Wicker Park Fest featuring more than 40 cutting-edge bands performing on three stages, and the Green Music Fest that celebrates environment sustainability via an eco-friendly stage powered by volunteers on stationary bikes.